The Gamekeepers Retrievers program produces happy, stylish, confident workers that will get the job done. Our dogs are Master National finalists, Master National qualifiers and field trial competitors across all breeds of retrievers. Let us help you achieve success! 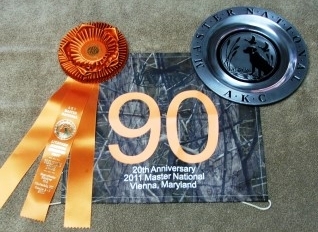 and while the ribbons are great, you look forward to the Fall when you can load them on the truck and go find some birds. After training with Gamekeepers, your hunting buddy will be raring to go! Mitch White is one of those rare dog trainers that is equally as good with people as he is with dogs. 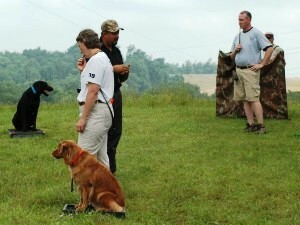 He has a gift for working with dogs and their owners and helping them to become a successful team. Working spots at his seminars are in high demand and sell out quickly. All dogs, regardless of breed, are individuals. We spent so much time training outside of the box that we got rid of the box. Our focus on fairness, teaching and developing good problem solving skills works! 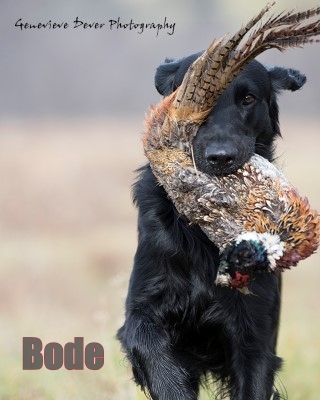 Gamekeepers Retrievers has been producing Flat-coated Retrievers that excel in all areas of competition since 1996. Visit the Gamekeepers Honor Roll page for complete details. 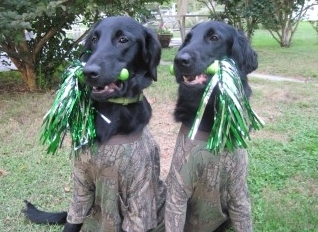 Welcome to Gamekeepers Retrievers, Ltd.
We have been training gun dogs for hunting and hunt test competition since 1988. 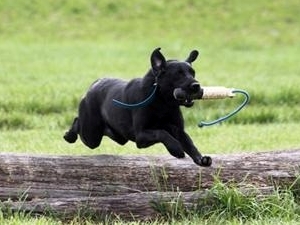 We are a full service training facility located one hour east of Columbus, OH specializing in: Training & Handling for AKC/UKC Retriever Hunt Tests; Training & Handling for Breed Club Working Titles; Gun Dog Training; and Obedience Training and Conditioning. Congratulations to our clients and students that have earned titles this year using the Gamekeepers Retrievers training program. 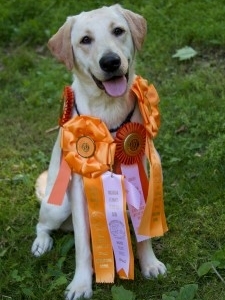 Congratulations also to those that earned a title on a dog bred by Gamekeepers. All training dogs were handled to their titles by Mitch White unless otherwise noted. Gamekeepers offers a variety of Workshops and Seminars during the year designed to help you achieve success with your dog. Working spots fill fast! Please keep an eye on our schedule for a Workshop or Seminar near you! Gamekeepers had its first litter in 1996. We have produced Westminster winners, top ranked specials and generations of dogs with field and performance titles too numerous to count. The Gamekeepers Honor Roll is a complete list of all our title holders. Our dogs are our pride and joy and we would like to introduce you to the current Flat-coats residing at Gamekeepers Retrievers. All the news, all the brags and a few random thoughts about our lives at Gamekeepers Retrievers, Ltd. Keep up with what's happening by visiting our blog page. 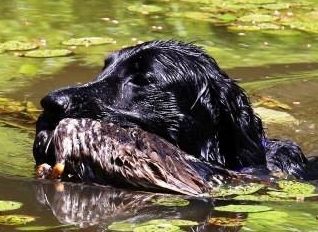 While Flat-coats are the focus of our breeding program, we do have a few other retrievers that we love just as well. Take a moment to get to know them and learn about their accomplishments. Gearing up for Spring/Summer Test Season! Our w inter training in Florida is coming to a close. Thank you to Wayne and Sharon Gey for another great winter of training in Montverde. Thanks to the fantastic Joey Laughery, our kennel and property maintenance worker, the kennel looks fantastic and is ready and waiting for the return of Mitch and the crew. This season marks Joey’s 6th year with Gamekeepers! Mitch and the gang will be back in Ohio shortly. Everyone made a lot of progress down south this winter. We are looking forward to showing off the dogs and their new skills at the Spring/Summer tests. Bode is going to be a father! 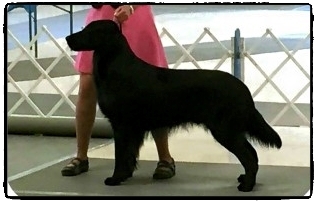 Susan Klein of Cape SandFlats Flat-coats has bred Onyx to one of Gamekeepers own, Bode, owned by Ray and Eloise Girt. Puppies are expected at the end of February. See the Gamekeepers Puppies page for more information. Working spots for our Four Day Water Workshop being held in TN over the July 4th weekend filled quickly. Thank you for your interest. If you did not get in, don’t lose hope. We have some other exciting things in the works for 2016. Keep an eye on our Schedule of Upcoming Workshops and Seminars page as more information will be coming soon.